Build It (2018) takes a look at one of the most important yet overlooked secrets behind business success: employee engagement. Drawing on a decade of research into 2,000 companies, Glenn Elliott and Debra Corey explore the tactics of some of today’s best-known firms to shed light on how they keep their workers switched on and productive. One common theme? 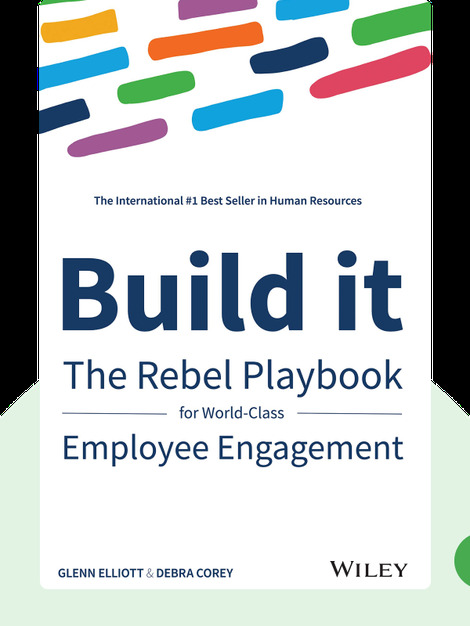 They all tore up the HR rulebook, and this path-breaking book is designed to help you do just that. We’re thrilled to announce that the authors have worked together with Blinkist to create this book-in-blinks for you. Glenn Elliott is an award-winning entrepreneur, author and speaker as well as the founder of Reward Gateway, a leading employment engagement technology. Debra Corey is an author and speaker as well as a seasoned HR professional. She has over 30 years of board-level experience at companies including Gap, Quintiles and Merlin Entertainment. She currently works with Reward Gateway. 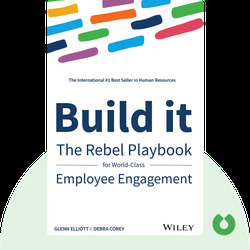 © Glenn Elliott and Debra Corey: Build It copyright 2018, John Wiley & Sons Inc. Used by permission of John Wiley & Sons Inc. and shall not be made available to any unauthorized third parties.